The Melbourne Guitar Quartet (MGQ) are a brilliant addition to Australia’s musical landscape. 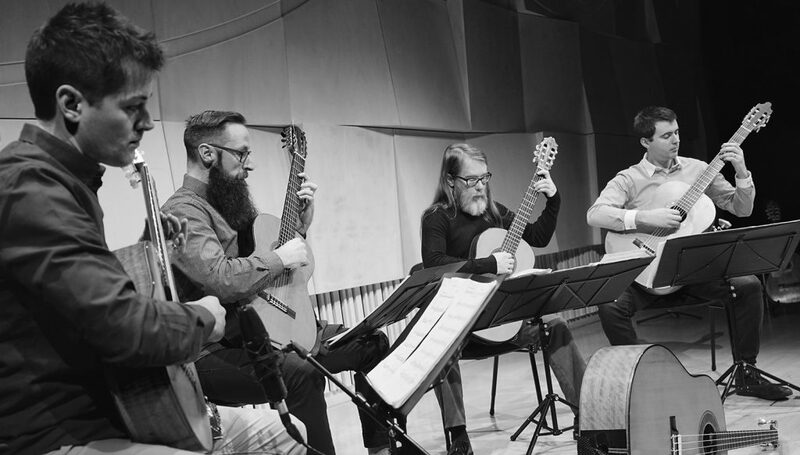 As Melbourne’s leading guitar ensemble, MGQ’s blend of innovative arrangements, technical flair and superb ensemble playing is a joy to experience. Through the use of bass, baritone, standard, treble and octave guitars MGQ embody a vibrant and dynamic onstage musical persona that has amassed diverse audience appeal since the groups formation in 2005. Avid lovers of chamber music, guitar aficionados and first-time concert onlookers will be left captivated by MGQ’s imitable re-workings of established classics and feel invigorated by more recent and newly commissioned works. With the award-winning MGQ at the helm, guitar performance is set to transform as they embark upon a voyage of exploring the world of guitar as you have never heard it before.